KALAMAZOO, MI — The growth of craft distilleries also shows no sign of letting up, with new producers set to come online in Holland, Grand Rapids and Kalamazoo. 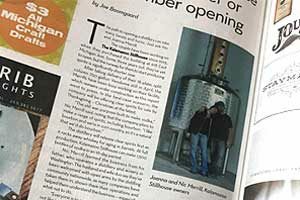 Turn to page 42 for a story about one of those newcomers, Kalamazoo Stillhouse. KALAMAZOO, MI — Nick Merrill sees that future as he walks past the torn-down walls of this worn building along East Michigan Avenue in Kalamazoo. It more resembles an abandoned warehouse than a soon-to-launch distillery. Peeled paint curls up from the walls. Wood panels lay in piles, ripped up from ceilings and floors. Merrill points out the only piece that doesn’t look tarnished: a shiny, steel boiling still for alcohol. 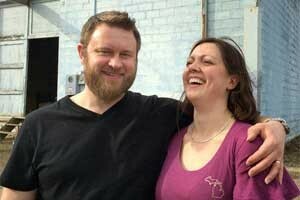 KALAMAZOO, MI — Kalamazoo City Commissioners gave local approval for a distillery to open near downtown on Monday. Distilled Kalamazoo LLC’s owner Joanna Merrill plans to operate at 618 East Michigan Ave. in Kalamazoo, according to a memo from city staff. A small distiller’s license, which also requires state approval by the Michigan Liquor Control Commission, would allow Merrill to manufacture up to 60,000 gallons of spirits and brandy annually. It will allow spirits to be purchased and consumed at the location and also be sold as a take-home purchase. KALAMAZOO, MI — For Nic Merrill, distilling is in his blood. 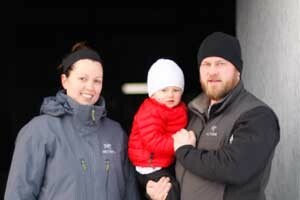 His father is head distiller at Bainbridge Organic Distillers in Washington, and Merrill and his wife, Joanna, spent time with him before deciding to open their own distillery in Kalamazoo.